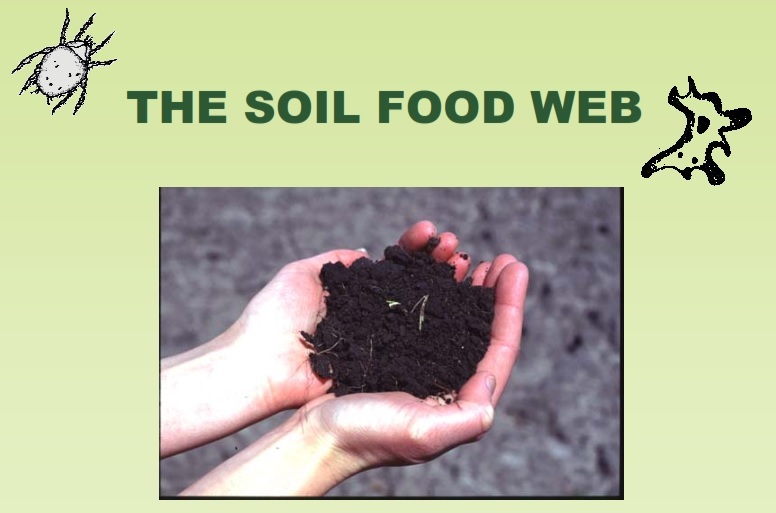 Found this book on soil biology which highlights the importance of this soil food web. Excellent microscopy photos here, well worth checking over if you’ve never seen them before or if your thinking about looking at soil under a microscope. It also covers several other things like Seasonal Microbial Activity, Typical Numbers of Soil Organisms in Healthy Ecosystems, Methods for Measuring the Food Web etc. I loved reading this, I’m sure anyone who’s interesting in anything plant/soil related would too. I found this a really interesting video showing how bacteria and fungi, along with the rest of those little critters from the soil food web work together to create humus (soil/compost) from just a sand substrate. This captures the process over a one year period in a time-lapse video showing the formation of algae and moss on top of the inoculant and then seeding it to create plants, as the process develops it results in the creation of a soil layer. It also details the process she went through to get to this point and at the end shows us some microscopy sequences of the organisms in this soil food web. There is also another video below which briefly shows a little more details. Seeing this makes me want a microscope even more now. Relatively short video talking all about Mycorrhizal fungi, from what it is to what it does. Interesting for those of you who want to get a good overview of what the processes are that these fungi utilise and how they form a symbiotic relationship with the plant. My advice would be to inoculate the roots of your potted plants with these beneficial fungi/bacteria to give them a good protection for the period before they and transplanted into the ground/soil. Give them the best start in life they can get I say, get that good fungi in before the bad can get its foot in the door.